No, this is not a poll :-). But it is about my Fall Foliage E-books. I want to use the next couple blogs as a blatant pitch for my books. They are easy to download, and I truly believe, one-of a kind reference guides to two magical fall destinations for photographers. Just click the cover shot above, or any of the hot-links in the body of this blog to go to the book page for direct links to the Amazon, iTunes, and Barnes & Noble versions of the e-Book. I have been regaling (or perhaps boring 🙂 ) you with shots from years past. We are quickly closing in on the present, but at this point, I feel the urge to divert from that effort and talk about my favorite time of the year. Fall is right around the corner. 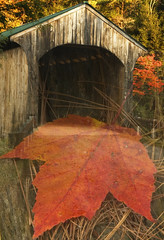 And I want to use the next couple blogs to highlight what my 2 e-Books do to help photographers who want to visit arguably the 2 finest foliage destinations; Vermont and the Upper Peninsula of Michigan. Foliage is still a month and a half away. But for shooters, that is right around the corner. Many photographers who will be making a Fall Foliage Shooting Excursion probably already have plans made. But some are just starting to firm them up. I have been making trips for fall foliage photography for many years now, and most of my trips have been to the 2 above destinations. My familiarity with them has made it possible to create two very useful resources for photographers wishing to visit these two wonderful destinations. The books, “Photographing Vermont’s Fall Foliage“; and “Photographing Michigan’s U.P.“, are designed for photographers (though anyone would benefit from them if they just want to travel and view the foliage). The books have directions to locations; tips for shooting vantage points; time of day and light conditions; and other relevant commentary about places, where warranted. They are also abundantly illustrated with examples of the images photographers can expect to make. This week, I’ll showcase some of my best and favorite images of the U.P. If you like what you see, please go to your favorite eBook provider (the books are on Amazon, iBooks, Barnes and Noble, and Kobo, among others) and take a look at the book. If you do purchase and download it, please review it. We (me and my co-author, Kerry Leibowitz) are always open to comments and hoping to be able to make the next addition better. The U.P. is a fairly small geographic space that is literally packed with photographic opportunities. From “pure nature,” to more “travel” oriented subjects, there is something for everybody with a camera in hand, or just wanting to see the wonders of nature. The Hiawatha National Forest covers much of the middle of the U.P. and there are hundreds of small lakes which produce wonderful flat-water reflection opportunities and often great fog and cloud formations to boot. In addition to the detailed directions we give to many of the photographic opportunities in the U.P., you can just wander on your own, follow the next road, and see where it leads. For Waterfallers, the U.P. is a treasure trove. As the peninsula is surrounded on 3 sides (duh — the definition of a peninsula 🙂 ), there are many rivers and streams that start inland and empty into Lakes Superior and Michigan. The U.P. has for many years been a favorite destination for a number of well-known photo workshop leaders, including John and Barbara Gerlach, John Shaw and Moose Peterson, among others. It is not unusual to run into some of these groups shooting almost anywhere you go in the U.P. I hope this very small sampling will intrigue readers enough to wander over to the eBook page here and/or go to your favorite online retailer and download Photographing Michigan’s Upper Peninsula. There is virtually unlimited photographic opportunity there. I have spent a lot of time in the U.P. (and in Vermont) and have put my familiarity with the area and conditions in writing with hopes that other photographers will find it the useful photographic guide that nobody else seems to have created. There are certainly other very photogenic places in the U.S. and Canada to find great fall foliage. I have photographed many of them. And with that knowledge, I can still state with conviction that the Michigan U.P. is one of the two best! Next week, the other “best” location; Vermont. Hope to see you out there somewhere this fall! Andy: I’ve traveled from Texas to Vermont ten times to photograph foliage. I think I’m interested in trying the U.P. I know that timing is everything. I always tried to be in VT from Oct. 5 through the 12th. Does that same window work for the U.P.? Also, does it make sense to have Marquette as the base of operations, given the places to stay and restaurants, etc.? Hi Tim: Thanks for reading here! I think your timing is about right. It is basically the same as Vermont. Michigan doesn’t have any real mountains (just some really high hills in the far western U.P. and some bluffs up over Lakes Superior and Michigan, so elevation doesn’t play a significant role in color change progression here. But prevailing weather does. As always, near the water, changes are slower and later. The U.P. is surrounded by water, so you can generally see a fair amount of difference from coastal to interior and from east to west (with eastern color generally progressing a bit faster, due to prevailing warmer winds from Lake Superior). Marquette is the (perhaps only) major city in the U.P. Because of that, it probably has the most to offer in terms of lodging, restaurants, etc. But it is still very small (think Vermont 🙂 ). I don’t know if you are aware of my eBook on the U.P., but it is probably as good (or better) a guide as my Vermont eBook is. My (and other knowledgeable photographers’) “Go To” staging location, though, is Munising. It is about 45 minutes east of Marquette, but it is the “gateway” to most of the central U.P.’s photo ops. If I were making my first trip, or a short trip to the U.P. that is where I would go (and stay). There are a number of motels in Munising and Wetmore, which is just outside of town at the entrance to the Hiawatha NF. But you need to book these fairly early as they definitely fill up during that season. Best of luck. Lots to see and photograph! Andy, thanks so much. Once I convince my wife to be on board with the U.P., I’ll make the commitment to the ebook and lodging. Do you have go-to choice for lodging in the Munising area?